I stayed 11 nights and was very comfortable. I received a warm and helpful welcome, and the cottage had everything I needed and more with a well stocked kitchen. It was well heated. I appreciated the supply of some basics like coffee and tea to get me started, and some written guides for local areas and activities. I made great use of the village shop next door, and enjoyed some pub meals nearby. The bathroom was a good size. The large bed was fine for me, but might make the bedroom a little cramped for a couple. My stay in Benfield was wonderful. After a very stressful year, the relaxed atmosphere of Morebattle was just the tonic. The people in the area were so friendly. The Templearms was especially warm and welcoming, and the food was exceptionally good. All in all I enjoyed my very much. The wonderful artwork in the cottage was indicative of the amount of care that has gone into the overall quality of the cottage. I felt quite the local before I left. Third visit to Benfield and although the sun didn't shine this time, we still enjoyed a relaxed and tranquil stay in a lovely setting. We met the owner John this time round who provided further tips on walks and where to visit in the surrounding area. Lovely little village to spend a week. The local pub, the Templehall Hotel is super, food outstanding, cask ales, cakes and friendly locals - highly recommend. We spent a week exploring the area and the cottage was a perfect base to come home to. Providing everything we needed and set in a friendly village, we enjoyed the setting and the pretty dog walks close by. If we are in the area we would definitely stay again. A lovely old cottage that has been recently modernised and with all the facilities and amenities you could want. Quiet, relaxing location in the centre of Morebattle close to local shop / pub and a short drive from Kelso and Jedburgh. Convenient for walking in the Scottish borders and Northumberland National Park. John and Christine make great hosts and were there to meet me upon arrival and clearly take pride in making sure that the cottage is fully equipped everything you could need and more. Return to Morebattle after walking St Cuthberts Way in June. This cottage is ideally situated for exploring the beautiful Borders region.It is cosy and warm with all amenities readily to hand. The access to the first floor is via a spiral staircase, which some may find difficult. Benfield cottage was warm, comfortable and convenient for out holiday. We were very pleased that the owner came to meet us and to show us around when we arrived as that made us feel welcome and was very helpful in terms of finding out how the heating system worked and what to do with rubbish etc. The cottage was cosy to come back to on the day it rained heavily while we were out cycling. 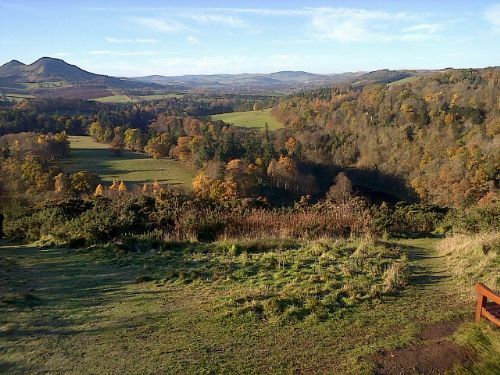 Morebattle is a good centre for exploring the surrounding Borders countryside. Having the village shop on one side of the cottage and the butcher's shop on the other was very convenient too. I have one very minor comment - it would be helpful to have a couple of small pans and casserole dishes with lids. The house is suitable for only two people and the big cooking pots were too big for small quantities. We found Benfield very comfortable everything was there for our use. The people of the village were very friendly and always spoke to us. 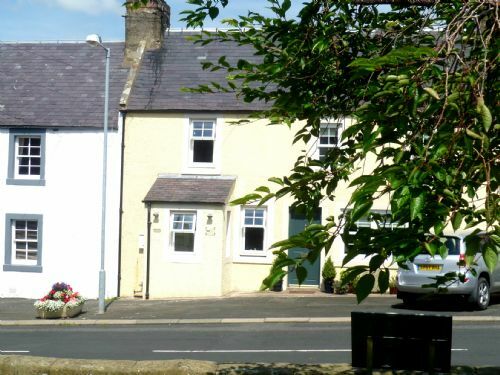 Benfield Cottage is located in a very friendly and pretty village in the Scottish Borders. The cottage was very well appointed nicely decorated and spotlessly clean. It was very cosy and comfortable. There were some lovely touches by the owners such as a lovely welcome basket and toiletries. I had a very enjoyable stay here and hopefully would like to return some day. I would recommend the cottage and the area to others. John and I really appreciate your review and the kind comments. Do come again and you will receive a Returning Guest discount whichever property you visit. Had a wonderful stay at belfield, cottage was excellent and location. Would definitely book again. Lovely. Thanks for writing this appreciative review. We just love this part of the Cheviots and this is one of our favouite cottages. Come again and receive a discount by using R G on the voucher box. We booked this little bit of wonder last minute and while you always have that little bit of concern when you book so late any fears we had were quickly dispelled. Benfield was just perfect for us. We are both in our 60s and we relished the nice touches provided by the owners. They provided a 'Welcome' basket containing 4 eggs, fresh milk (pint)' bottle of local ale, amongst others. All the kitchen equipment was clean and serviceable and the owners briefed us on the various switches etc for heating and hot water. John and Christine are perfect hosts with the property and we wouldn't hesitate to book again. One minor area to note is the metal spiral staircase. If like us you tend to wear nothing on your feet indoors then I recommend a pair of slippers or similar for transitting the staircase. The village has a good hotel and I can recommend the meals there as well as a lovely pint of Tim Taylor Landlord ale. Locals very friendly and willing to help with advice." We really appreciate your comments and particularly the advice on the beautiful staircase. good news that we have been awarded four star again by V. S.
We had a lovely stay at Benfield Cottage over Christmas weekend. We arrived Christmas eve and were delighted with the finishing touches that the owners had done to make us welcome - decorated Christmas tree, Christmas crackers and a small welcome hamper. Lots of local information available in the cottage and we went on a couple of nice local walks with our dog and paid a visit to the local pub. Lovely cosy do friendly cottage in a small village with friendly people. Had a very good stay. From the moment we arrived, it felt like a little piece of paradise. Delightful welcome basket, marvellous and beautifully maintained amenities, in a gorgeous part of the world. It was the perfect place from which to explore the surrounding countryside and towns, and good for the soul-lovely to have the village shop as well. Benfield Cottage was a fantastic find, and the hosts were very efficient with bookings and helpful when we wanted to extend our stay. We enjoyed our stay at Benfield Cottage, lots of places to explore. Its fine for 2 people. The stair case is very steep. The yard out the back was useful for storing our bikes but not a very nice place to sit, could do with some improving. Kitchen fairly well equipped although only 2 mugs. Thanks for your comments and we are pleased that you enjoyed your stay. the garden does need some upgrading. We were quite surprised that you could only find two mugs as there are six provided. This is a lovely cottage in a charming Borders village. Well equipped with all you need and a great welcome pack!! The cottage was very cosy and to a high standard, equipped with everything that you would need. Welcome pack on arrival was a very nice gesture. Very picturesque and friendly village. One minor criticism, the patio at the rear was a shabby condition, however this would not stop us returning, All in all we were very satisfied and it was good value for money. One final point of note for future occupants - the village shop closes at 1.00 PM every day. This was a charming cottage had all we needed to enjoy our stay with Daisy our Labrador. Friendly people in the village,well stocked shop and excellent butcher. We look forward to going back sometime Christine and John are very nice people. Thanks for taking the time to leave a review, especially one with such lovely comments. The pub and the local butchers are really welcoming places and the location of the cottage is great for site seeing. Do come again and receive a Returning Guest Discount. A small but charming cottage in the delightful village of Morebattle. Benfield is extremely well appointed and comfortable. As soon as you open the door you feel welcomed and the welcome basket of local goodies is a special treat. With the village shop two doors up the road it is conveniently located. I highly recommend this property. Cozy little place in a small quiet village. I am not keen on street parking, so any bigger car than my I30, I would not be comfortable with the parking space available at this property. The property itself is fine, but the rules regarding dogs would put us off booking this property again. We did Hoover up after our two day stay, but would expect the property to be spotless, but we found dust and cobwebs under the tricky spiral staircase. I am sorry you didnt enjoy your weekend. .As dog owners ourselves we welcome dogs at three of our four properties. Our 'rules' are not generally considered controversial. Dogs are not allowed in the bedrooms and owners are requested not to allow animals on the furniture. I will mention to our ladies that you found a cobweb under the stairs. Old cottages do have tricky corners This is a very quiet village where parking, on or off street, has not been considered a problem previously. Thoroughly enjoyed our short stay in the cottage. Everything you need for two people. Well equipped comfortable cottage. Well positioned within a beautiful and friendly/welcoming village. Lovely touch meeting owner on arrival who gave us lots of information. Plus left a goody box which was much appreciated. The cottage is excellent cosy and very central. The village is very quiet and friendly with a good local pub, butchers and local shop. You will definitely leave feeling refreshed and regenerated. A most pleasant stay. Thank you. Very helpful owners and plenty of information given to help our stay. Everything on hand and a welcome basket to get started. a handy central point to explore Border Country. This was our second stay in Benfield this summer. Yet again everything outstanding, from the personal touch of the owners to the tranquillity of the setting and the cottage itself. A lovely cottage in a great location with everything you may need for a short holiday. The welcoming hamper and the numerous guides and leaflets were very helpful. Absolute first class location, very homely cottage, Kelso has the best real ale pub -' The cobbles' worth a visit. Getting onto the St Cuthberts way and Pennine way was fabulous saw many sightings of red deer, will definately return to the area. Had a lovely stay in the Benfield cottage in Morebattle, was very relaxing and very cosy. Everything needed was provided and we got a perfect night sleep every night. The cottage it's self was very warm and the rooms were great the bed was super comfy and the bathroom was fabulous, plus with the wee garden too which just made it perfect. Would definitely recommend. We recently spent three nights in this charming cottage in an idyllic setting with some fantastic walks and views. Even the weather behaved itself! Total bliss. John and I really appreciate our guests taking the time to add a review.It helps other guests get an insight into the cottage and area. Thanks for your kind words. From the moment we entered the cottage to the moment we left we had a fantastic stay! it was even nice to ge back to the cottage after a great day out. The special complementary basket was a very nice touch! Will definitely go back. Well worth the money. we had a most enjoyable stay at Benfield. it was tranquil and beautiful. the cottage was cosy and well equipped. plenty of border towns to visit in close proximity. would definitely stay again. Benfield was all we wanted and more. From the, literally, warm welcome on arrival one cold Sunday evening, to the wonderful welcome basket, fantastic bathroom, thick towels, wonderfully comfortable bed to the sheer convenience of being a bolt hole a very short walk away from the family Benfield ticked every box imaginable,and more, for my husband and I. We knew of the cottage from the outside but for two people it is truly amazing. So comfortable and truly a home away from home. When we next visit the family in Morebattle we shall definitely be looking to stay at Benfield. We REALLY appreciate your comments and for taking the time to write a review. Morebattle isn't as well known in the Borders as some other places but we feel that the cottage and the area are very special. Please do come again. We had 3 really nice days in this boutique cottage. Everything you could want was provided, although you would need to bring your own shower gels/ shampoo. It's very cosy and warm for winter months but in the summer you might find the outside seating restricted. Parking for a large car is quite tight outside the cottage but there is plenty behind the school. A very quiet village with a shop and pub, the pub having fine beers and very good basic homemade food. We enjoyed a lovely quiet break over new year. The cottage was cosy , modern and well worth a visit. The extras such as welcome pack were much appreciated and a lovely touch. Generally a lovely cottage but the cooker needed a good clean, not that we used it much as we ate out most evenings. 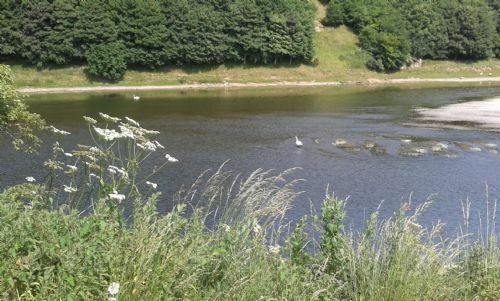 The location was very good for exploring the Borders by car & also excellent for walking in the Borders as well as for walking in the Cheviots & on the Berwickshire coast. The locals were very friendly & we used the local shop, ate out in the village pub twice & used the Roaming Chippy which visits Morebattle one evening each week. We also ate out in Kelso & Kirk Yetholm. Although we were on a walking holiday, we would recommend the cottage to non-walkers as there are plenty of interesting places to visit in the area. amenities were good. Ideal location for exploration. We are really sorry that the security lock on the new door jammed when you were using it on your second day. We visited you on four seperate days spending time trying to release the lock while waiting for the manufacturer's engineer to come out (not possible over the weekend). It must have been inconvenient for you both and the dog but we hope the complimentary wine helped!!. The published details about the cottage make clear that it is not ideal for guests who have mobility problems because of the spiral staircase and we recommend our properties where all the rooms are on one level. The cottage has a four star grading from Visit Scotland and many returning guests. It is the second time that we have visited Benfield Cottage and we will definitely be back! It is a lovely cottage in a beautiful location. We did some great walks that are accessible from the cottage. We really enjoyed our stay in this comfortable cottage. Located in a Morebattle which is a lovely little village near to Kelso and Jedburgh. The village has a fantastic local butchers and shop which stocks most things needed for a stay. 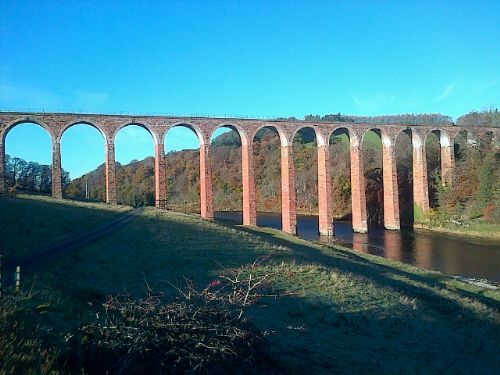 A great location to explore the Scottish Borders. We received a great service from the owners and would recommend their properties to family and friends. Thank you for taking the time to send a review. The location of the cottage and village amenities are really excellent, and the makes a good centre for exploring this historic area. The cottage is about to be recarpeted as it has had heavy use recently. Do come and visit again if you come to the Borders. Remember you receive a Returning Guest discount. Thanks for a wonderful stay. Your cottage is perfect - spotlessly clean and and really comfortable and fitted with everything we could want. Importantly for November the heating was great. Welcome basket was appreciated. The food in the local pub was top quality and the locals very welcoming. Thanks again. We enjoyed a fortnights holiday at Benfield nothing was to much trouble for our hosts.The village is lovely and the people very friendly.Benfield cottage was very clean and comfortable with added the added bonus of a welcome basket.We would have no hesitation to recommend staying here. Thank you for your really nice comments. We've been coming to Morebattle for over 40 years and still love it! Idyllic setting for a cottage for two. Good situation in beautiful countryside. Village people very friendly and good local pub serving food. Well equipped in kitchen and lounge - a doormat needed by the outside kitchen door. Would have liked more luxury bedding. Spiral staircase could be a problem for some people. Owners met us and were very helpful and friendly.